7th floor Condo across from the Beach @ Bonita Beach & Tennis--well kept! Perfect for a getaway, this cozy, charming, 7th floor retreat is waiting for you, just steps away from the Gulf of Mexico. Spend time outside at one of two heated pools, 10 Har Tru tennis courts, bocce courts, pickle ball courts, and horseshoe courts. Situated between Naples and Fort Myers, home of some of the finest restaurants and attractions in the state are just minutes away. This lovely piece of paradise is waiting for you. We love our home away from home. Often referred to as "Heaven on 7". It's an amazing place to rest, relax, and unwind yet located in beautiful Southwest Florida which offers so much to do at your fingertips. Once you stay with us you'll be asking yourself why you waited so long. Come enjoy a little piece of Heaven. This unit is one of the cleanest you'll experience. Located across the street from Bonita Beach and Doc's Beach House. Read a book, ride the waves, rent a jet ski, water bike, or parasail. Bonita Beach has some of the most beautiful sunsets. Views from 7th floor were great.Condo has plenty of room for 2 people. Pool was nice and just a few feet from the elevator. Tracey was a pleasure to deal with. We would definitely recommend this condo. The beach is just a short walk across the road. 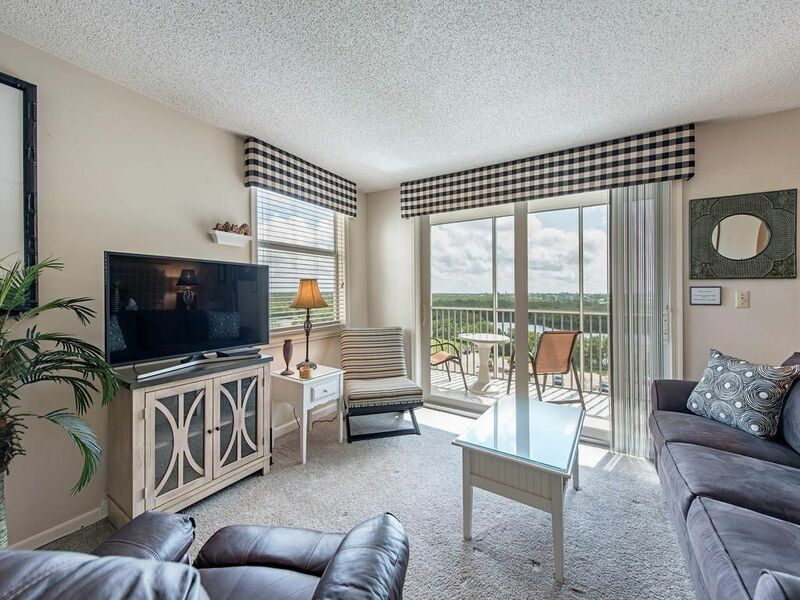 This studio condo at Bonita Beach is close to all that matters to those who want a relaxing SW Florida getaway -- by the beach, walking distance to fun & casual restaurants, short driving distances to shopping, great views, and more. Complete with balcony/lanai, cable TV, wi-fi, full kitchen, and beach chairs, it's a sun-lover's dream. The five building complex has two pools, 10+ tennis courts, pickle ball, bocci ball, shuffleboard, 3 coin laundry rooms, and even a restaurant. If you can't relax and have a good time here, you might need Xanas. We couldn't agree with you more--the area offers all things beautiful and relaxing to SW Florida. Thanking you for staying with us and so glad you had a wonderful stay. I believe the owners are fantastic people. I hope to return to this area soon. When I do, I'll stay at this very same location!!! Absolutely wonderful!!! Thank you Robert. We appreciate you staying with us and also your kind words. Hope to see you back soon. Beautiful, very well kept! Wonderful heated pools! Close to all you need! Our studio was nice & clean & we had everything we needed! Good view of bay ! Thank you so much for the kind words. So glad you had a wonderful time. We love sharing a little piece of our heaven. Bonita Beach & Tennis Club is located in beautiful Southwest Florida nestled between Ft Myers and Naples.